The University of Wisconsin men&apos;s track & field team enters the Big Ten outdoor track and field meet today at Penn State University, favorted to win its fourth straight title under coach Ed Nuttycombe (pictured). 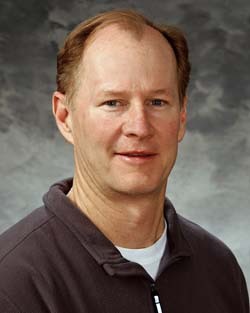 Nuttycombe is in his 24th season at the UW. A win this weekend would also give the Badgers their 4th Big Ten "triple crown", which is made up of the conference cross-country championship and the indoor and outdoor track and field championships. Nuttycombe has led the Badgers to 22 Big Ten track and field titles in all. Wisconsin also has captured the last three Big Ten outdoor titles. The Senior class is a perfect 11-0 in Big Ten meets.